In collaboration with Norway’s Arendals Bryggeri, Sawdust brewed a traditional European lager with North American craft beer sensibilities . 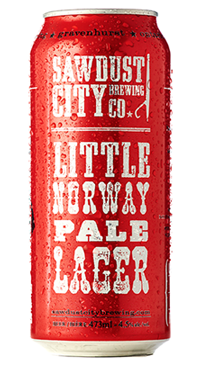 Light and crisp, but hopped to the hilt with Saaz hops, Little Norway Pale Lager is a beer that honours the past – but embraces the future. For the full story on the history of this beer, check out the brewery website here.